Expectations put limitations on possibilities. 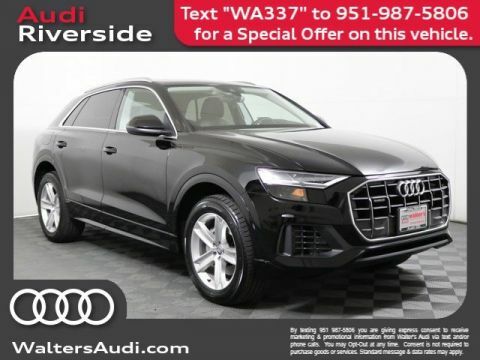 The Audi Q8 offers a unique performance that blends sport and utility into a momentous SUV design. Audi leadership in the field of automotive LED lighting sheds light on the capacitive interplay between driver and machine. The result is Audi dynamic lighting that plays an animation to greet the driver as the vehicle is locked or unlocked. 17 speakers throughout the cabin-including in the headliner-along with a 16-channel amplifier and 730 watts drive natural and exceptional sound quality. The 3.0 liter TFSI V6 engine was engineered for response. A twin-scroll turbocharger and Audi valve lift system inspires the commute with a broad power band and leisure time with a 7,700-lb towing capacity. 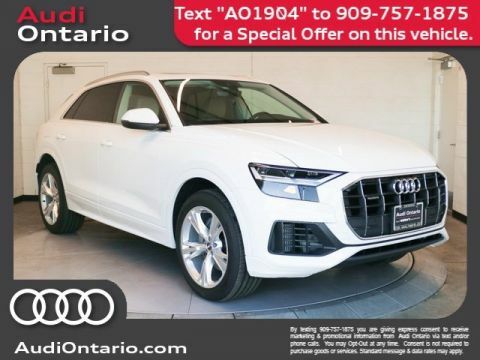 The standard quattro(R) all-wheel drive on the Audi Q8 still operates within the laws of physics, but a gripping legacy can help you explore the outer limits a little more. Counter steer of up to 5(0) in slow-speed situations available all-wheel steering helps the Q8 maneuver in tight spaces. Up to 2(0) of parallel steering helps stabilize the Q8 at higher speeds to help improve agility. Organize and arrange content and functions the way you want it, intuitively. Once selected, experience personalized menus with the pulse of haptic and audible feedback. Second generation 12.3 high-resolution display allows you to choose between the Classic layout or an Infotainment layout that includes a navigation map to help keep your focus in front of you. Driving off the lot is just the beginning. Unlock your digital ownership experience with the myAudi app. 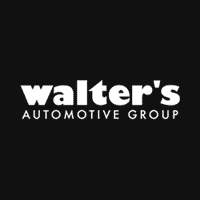 Monitor your vehicle, send destinations to your MMI(R), manage your account and more. 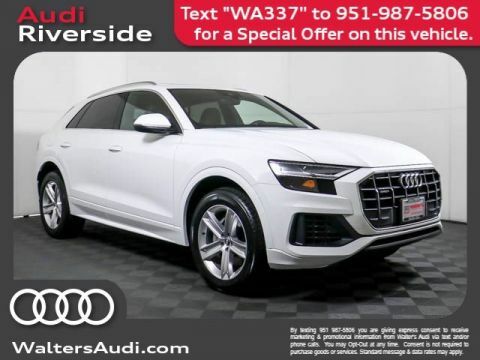 Over the years, Audi engineers have developed advanced driver assistance systems that all work together in the Audi Q8 to help give you confidence at all of life's intersections. 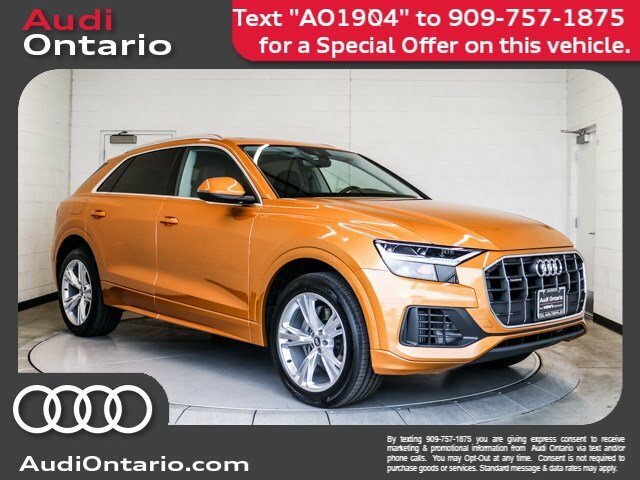 Meet your new 2019 Audi Q8 in person today at Audi Ontario located at 2272 E. Inland Empire Blvd., Ontario, CA 91764.